So here we go, my first ever blog on my first ever website… exciting times at the moment for Little Millie’s…. rather than working miles away, hence Little Millie’s cupcakes was born…. Things have been really busy lately, designing Novelty Cupcakes including muppets, spongebob, thomas, angry birds, new born baby cupcakes… alongside that we are now getting ready for the wedding fair at Dunston Hall in two weeks so I have hundreds of handmade sugar craft roses to design! I am loving it though. We are a full on family business aiming at making weddings easier for people, they can call us and book Cupcakes, favours, sweetie buffet, Photographer, Videographer, make-up, nails, lashes and Disco all in one go saving a small fortune!! I will be updating this blog on a weekly basis keeping you up to date on the Little Millie’s Antics and posting photos. 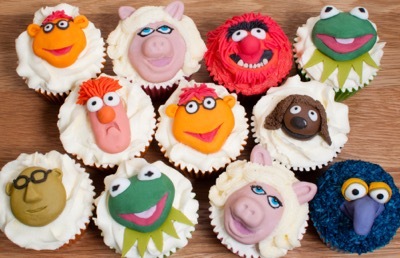 I am looking for new flavour ideas for my cupcakes… what random flavours can you think of?